Let get the supply first. Bigger size can be easy to make by add more round. 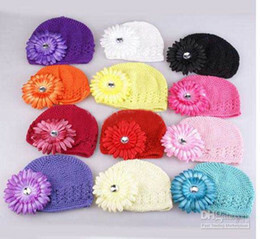 Everyone love adorable baby hat! 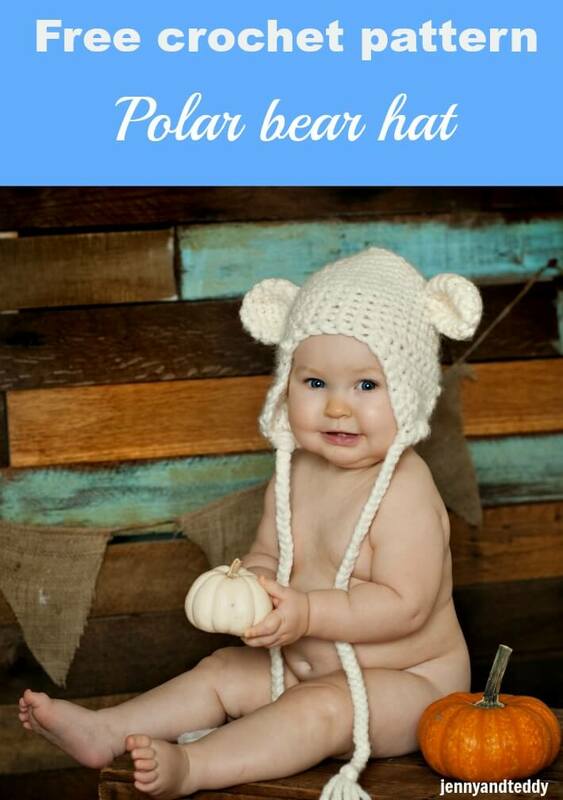 Make this cute polar bear hat for your little one with easy to follow step by step photo tutorial. Perfect project for beginner crocheter! If you are not already a Craftsy member, then sign up for free first then you can download from my Craftsy page. After login simply add the pattern to your card and then checkout - No Payment or address details are required as these are electronic patterns. For instruction on how to make magic ring, change colour, and basic technique to make crochet hat, try this tutorial. Crochet beginner start here on how to make magic adjustable ring. Rounds 6-12. Sc in each st around (25 sts). Finish off. Round7-15. Sc in each st around (30 sts). Finish off. Round8-19. Sc in each st around (35 sts). Finish off. You can also make hat bigger by increasing round until they fit. Row8. Sc in next 3 sts, fasten off. Join MC at second maker with sl st and repeat as above for second earflap. Join MC at any st along the edging with sl st and work one round of sc around the edge, going around the earflaps. Fasten off. With MC, loop yarn into approximately 18-20 inch long.Using a crochet hook, pull the folded side of the yarn through the center stitch at the bottom of the earflap, making a loop. Pull the free ends of the yarn through this loop and pull tight. Divide yarn in to three parts, plaint or braid to the end, and tie a knot to finish up. One tie is made. Repeat on the other earflap to make second tie. Round4-7. Sc in st around (15 sts),Fasten off and leave long tail for sewing. Sew ears of the teddy bear to the hat as shown, using yarn tails. All done! You can share your finished bear hat project at jennyandteddy flickr group. I would love to see your creation and will pick to featured here in my blog. I'd love to make this for myself though. Do you think I can alter the patter for it to fit my head? yes this pattern can be easy convert to bigger size for adult. Super cute. I love your hat, I have a scarf I need to finish for Winter. I would love for you to join my weekly linky party. It usually runs fri-mon, but this week it started today, wed, since we are having a Breaking Dawn give away party on Thurs. Come strut your stuff. What hat…I want the baby! oh, that is so adorable. 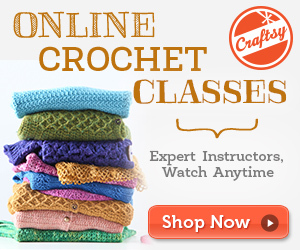 I wish I knew how to crochet (I know the very basics but thats about all.) I love your blog. I'm your newest follower. This is darling .I have been crocheting some braided flap caps but love the cute ears on this one!! I would love to show this off on my blog with a link back to you if that would be ok with you. that wonderful thing to do and thank you so much for featuring me. I have searched on net and at last I found! Thank you very much! they are crochet into the hat. How cute!! Thanks so much for sharing the pattern, I will definitely have to try this when I am passed my beginners stage. 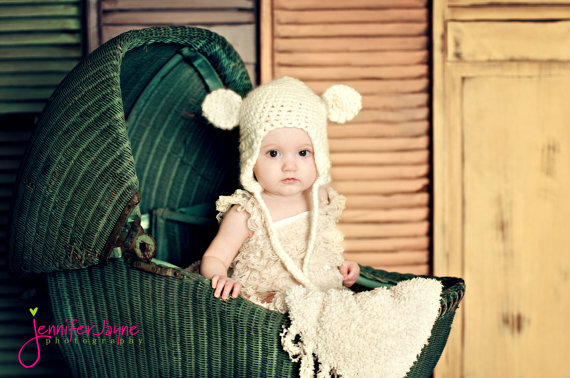 Thank you so much for sharing your adorable Teddy Bear Hat Pattern! I plan to make this for my granddaughter & friends. I just love it! oh my this is sooo cute!! thanks so very much for sharing it my cousin is having a baby soon so now i have a wonderful pattern to make her a gift !! thank so very much! Great to hear you love this hat. it’s my passion to share. Thanks so much for this pattern! I have made a newborn one as well as adult size one for a high school senior portrait. Both were adorable and the clients loved them!! Thanks so much! Here’s one of the pics On our photography site…. You make such a cute wild bear hat( because it brown colour). And thank you for sharing them with me. Hi, I picked up some yarn today that is super bulky and recommends using size 9.0 mm crochet hook. I tried using a 6.0 mm like your pattern calls for and am having a hard time Crocheting with the yarn being so thick. Should I use a larger hook? Will it turn out? Thank you! You could change to bigger size of crochet hook as long as you got the gauage you are good to go. Thhat cool Catie, Love to see your creation. 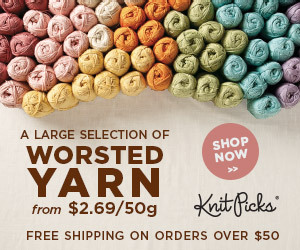 I have yarn that is 85 grams–will that work? Or should I use a 5 mm crochet hook with it? Thanks! Hi, this is my 3rd crochet project and 1st time pattern and I really want to make this hat for my 7mo old before all the cold wheather kicks in (bit late though), however I have the wrong wool I think (took me 3 evenings and 10 rounds to figure that out). I bought 50grams per 80 metres and use a 5,5 hook. I can’t get the gauge i think. Is there a way to fix this/work around this? Thanks!! I think maybe you crochet it to tight try to crochet not to tight, you get the guage this way. Please let me know if this work. I am having a little bit of trouble using the size 6.00mm crochet hook with Lion VBrand TWool Thick and Quick. I do like how it comes out though, but I wish it wasn’t so stiff. I think I may try using a large size hook, and see what comes of it. This pattern is awesome, and so adorable! Also, I didn’t note if you said so or not… but, can we sell our finished product? If not, that is perfectly fine too. 🙂 Thank you so much! Thank you for your lovely comment and yes you can sell the finished product that you make. PS. YOu have a lovely blog. Thank you so much! 🙂 My blog is not very popular yet, but I’m working on it. I’ll be uploading the photos of the baby bear hat soon. 😀 Again, thank you for this pattern! Thanks so much for this pattern and instructions! My hat turned out awesome! I’m having a lot of trouble with the flaps. Do I slip stitch off and start a separate piece when done with hat?? yes, that right just slip stitch off and start again by attach yarn in any part along side of the hat body and start from there. Thank you So much Jane! I’m almost done now. Can’t wait to give to my nephew! Hi Alicia, I am glad you like the hat. Hi! I loove your pattern. Found it a long time ago and finally i thought myself how to crochet enough to make it..8) Im just a bit confused about the ties..do i make a chain? This is so fun, unique and very cool! Thank You so much….